Easyshed have come up with 9 Halloween Crafts – with Halloween approaching the end of this month. Here?s 9 brilliant craft ideas to do with your children as a family. 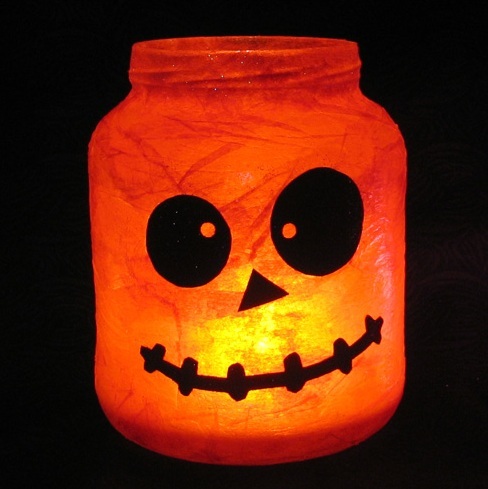 These tissue paper jar lanterns are a great Halloween treat! You need a clean jam jar, orange tissue paper, PVA glue, black paper, paint brush and candle. Simply stick the orange tissue paper to the clean jam jar- cut out the eyes and mouth out of black paper and stick them to the front- add a candle and viola! 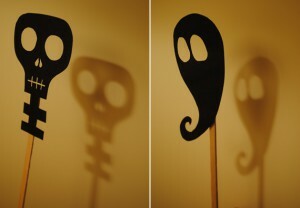 These are so easy to make- you just need, some black paper, a craft knife, sticky tape and wooden sticks. You can download and print the templates here, http://www.minieco.co.uk/images/oct10/minieco-shadow-maker.pdf you can then cut round the templates- stick them onto a black piece of paper and stick them to a wooden stick. 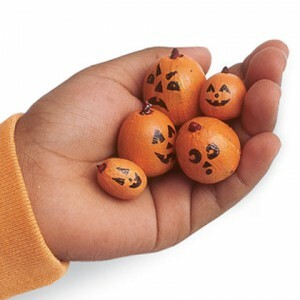 You can design acorns to look like pumpkins- great activity for children! 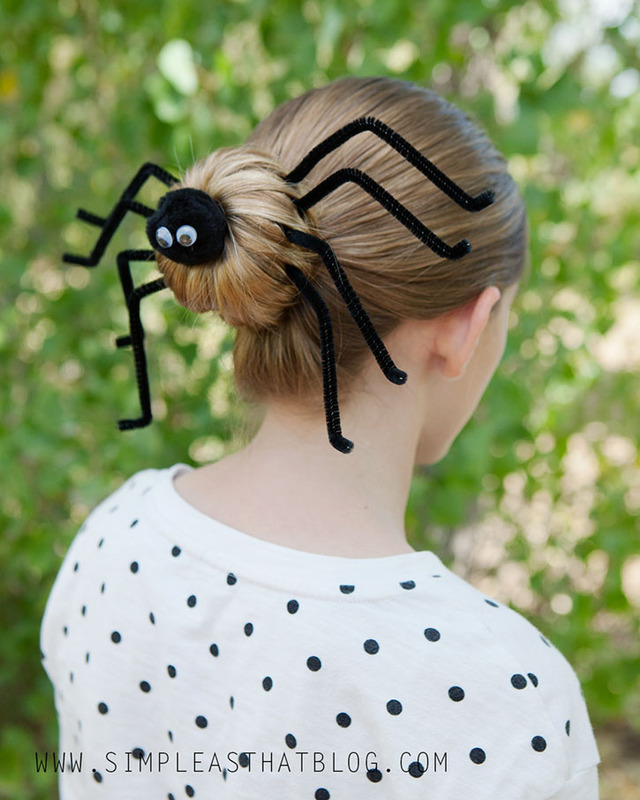 A great hairdo for your children to show off at school and to their friends whilst trick-a-treating! You need: black pipe cleaners, a hairpin, googly eyes, black pom-poms and black felt. 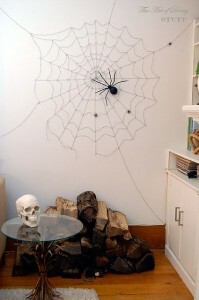 Firstly, create the spiders face by cutting a small circle of black felt- slip inside the hairpin. Using hot glue or other strong adhesive glue the pompom to the felt. Lastly, attach the googly eyes to the front. Use 4 black pipe cleaners cut in half to create the spider?s leg- place four on each side of the hair bun. Bend slightly at the top- then again at the bottom to create a small foot. Secure pompom for the spiders face in the centre of the bun and you are done! Greet party guests with this huge spider! You need: a knife, milk jug, black duct tape, 4 black foam pipe insulation tubes, 2 plastic eggs and green tape. Firstly, you need to use a craft knife to cut off the spout of the milk jug, then completely cover the jug with black duct tape, tape the centre of each of the 4 pipe insulation tubes across the handle side of the jug. Tape the tubes to the sides of the jug to keep them bent- with scissors cut and remove a 1 inch deep notch from the middle of each leg and bend the insulation at the notices and tape the bent joints in place. 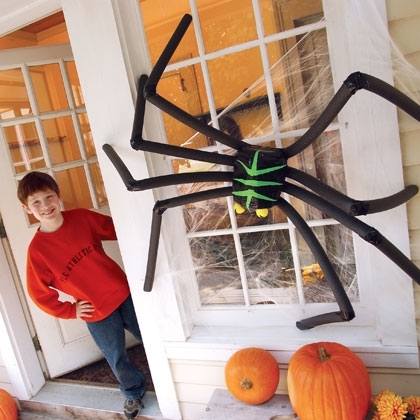 For the yes- stick black pupils on the 2 broader ends of a pair of plastic eggs- tape the eyes in place on the jug and decorate the top of the spider?s body with green duct tape. 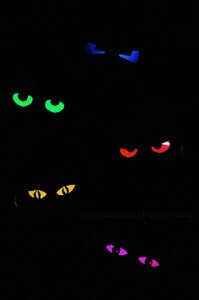 Cut some spooky eyes into empty paper towel or toilet paper rolls. 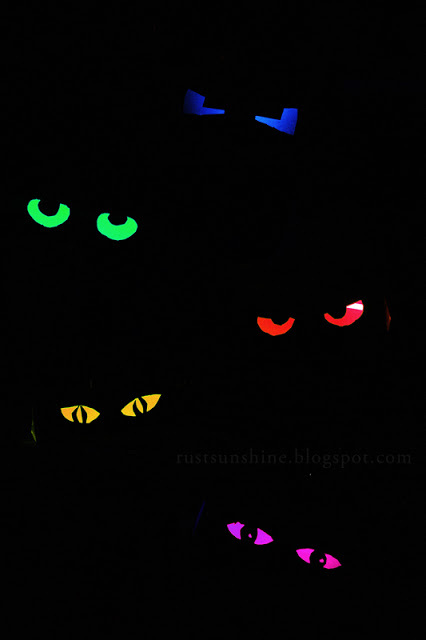 Insert glow sticks and cover the ends with duct tape. You can hide them around the garden and house for spooky décor! What Halloween party doesn’t need a few bloody hand prints and blood drops for decoration? You need: Craft glue blue and red food colouring, plastic wrap, waxed paper, a large cutting board, tape and surgical gloves. Make sure you do this on a washable surface. Wrap the plastic wrap around the cutting board so the surface is completely smooth, secure the wrap with tape. Pour 28g of craft glue into a small bowl and add a single small drop of blue food colouring- stir the food colouring in well and add the red food colouring one drop at a time, stirring thoroughly between drops. Cover your hand in craft glue- press it to the plastic wrap, leaving a white craft glue print on it. Fill in the shape of the hand with more craft glue to a thickness of about an inch. Stain your hand with the red dye and press it onto the dried craft glue and pick it up. 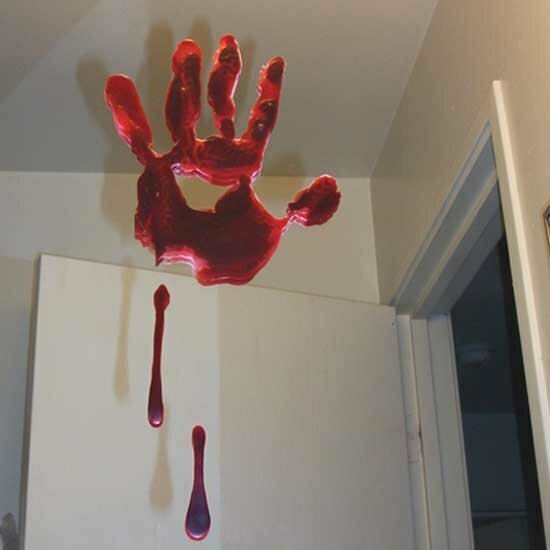 Use a spoon and carefully pour more fake blood onto the hand prints. Allow to dry. You simply need string and two way tape. You have to cut the tape into tiny squares, stick the squares to your wall- stick the string to it in straight lines and finish with draping parts of the web. Buy some toy spiders and viola! 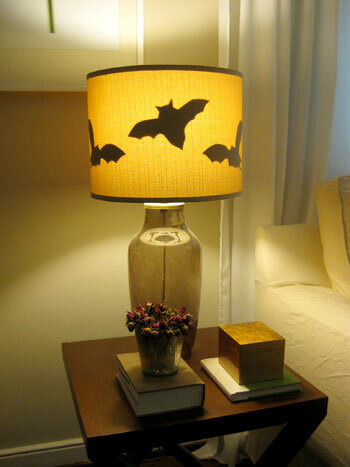 Firstly sketch out bat shapes on small white pieces of paper, cut out the sketches and trace onto black construction paper- use two loops of scotch tape and stick each one of them inside the two lamp shades in our living room for a bit of eerie ambiance when the lights are on.